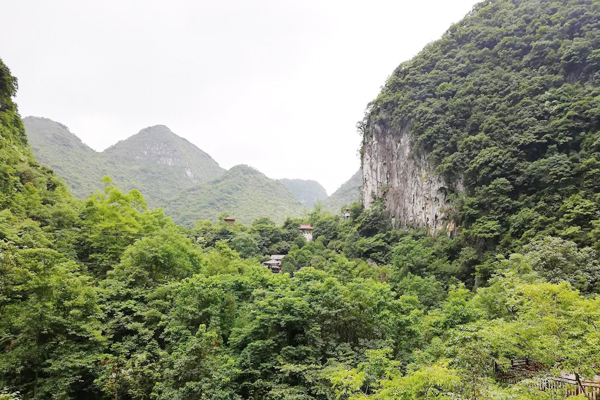 On the first day, we took a morning train ( about 4 hours) from Chengdu East station to Guiyang North Railay Station. 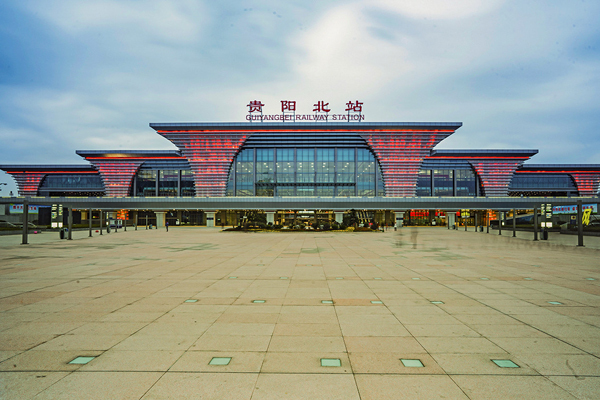 Wow, Guiyang North Railway Station is built well ( likely, all station buildings are grand and new) which was out my expiration. After lunch, we took car to Qingyan Ancient Town. 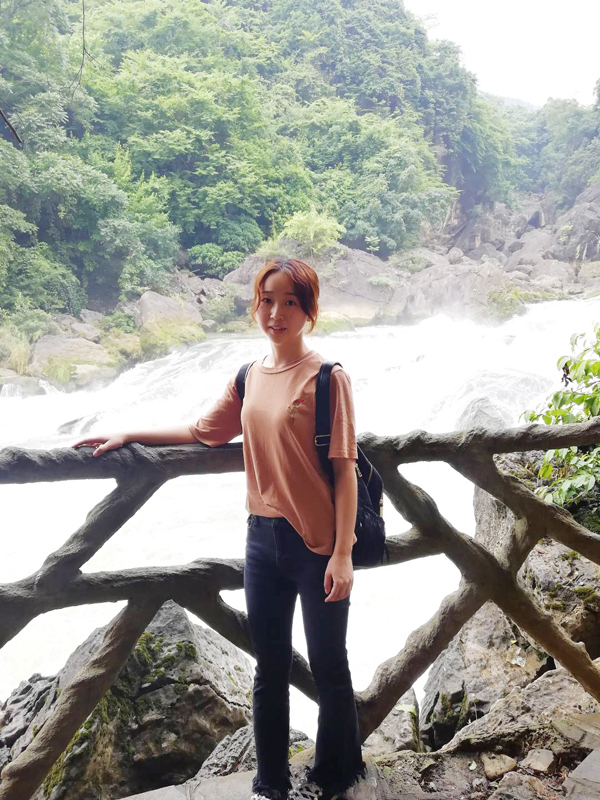 ( Guiyang is really a big city, we drove about 1 hour to the town. ) 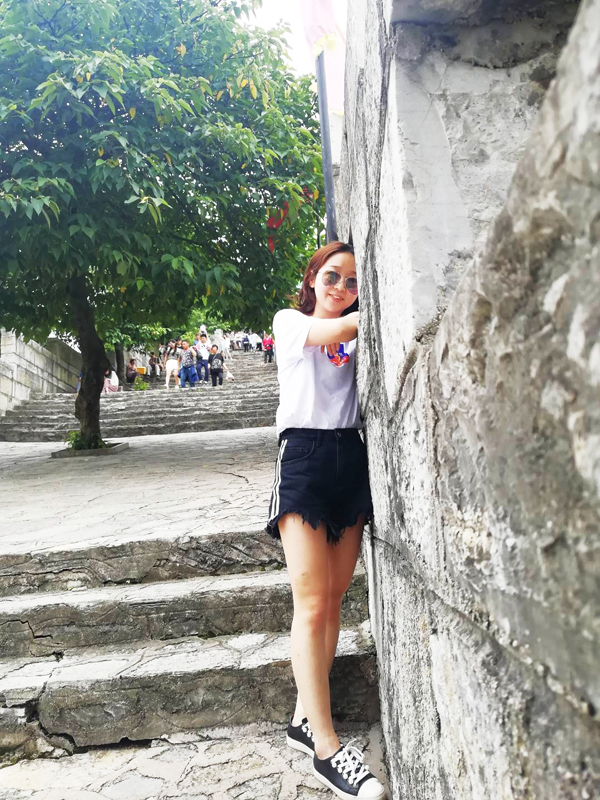 Here, you will CLIMB though lane of the town，so tired but fun. Expect merchandise stores, you can see these historic and cultural ancient buildings of Ming dynasty and you also can go back to stories of them. 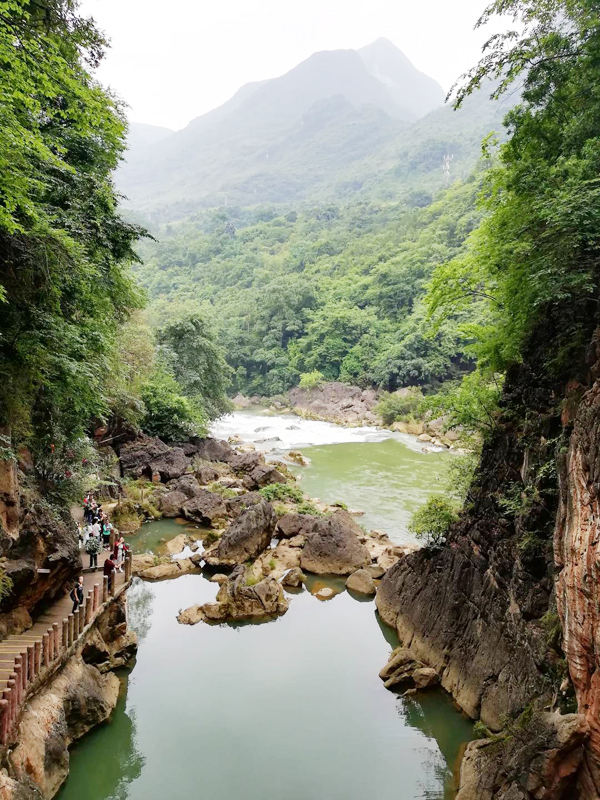 Most famous parts in Huangguoshu Scenic Area are Huangguoshu Waterfall, Doupotang Waterfall and Tianxingqiao scenic spot. We took a day to visit, didn’t feel tired until we had seen them all.. haha..
On the third day, we departed from our hotel in Anshun to Dragon Palace Cave. 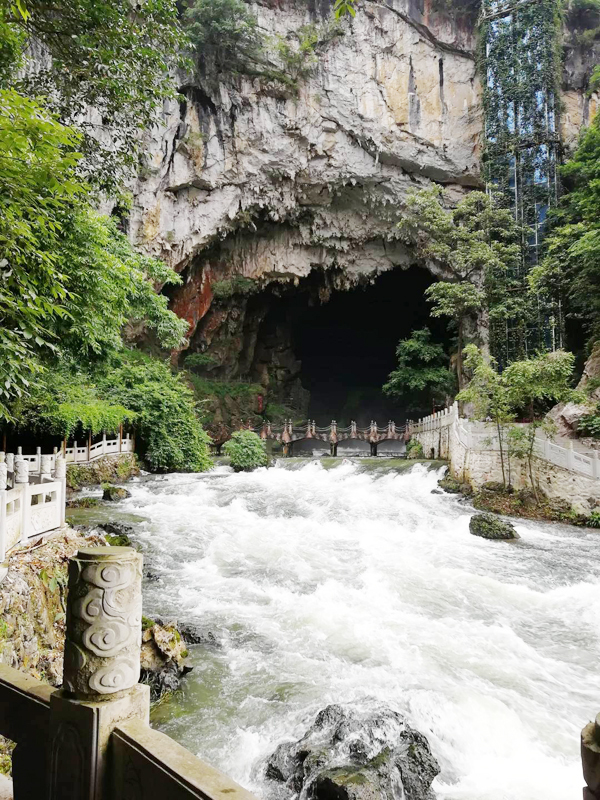 No surprise to underground caves in China, but this one is magnificent, wow~ Besides, it is interesting to pass through by a boat. If you are interested in a high speed train tour, please visit China High Speed Train Tours, or feel free to contact us to customize your own tour. Want to know more about the experienced travel expert Tracy’s trip? You could just contact her directly or continue to read more about her travelogues. 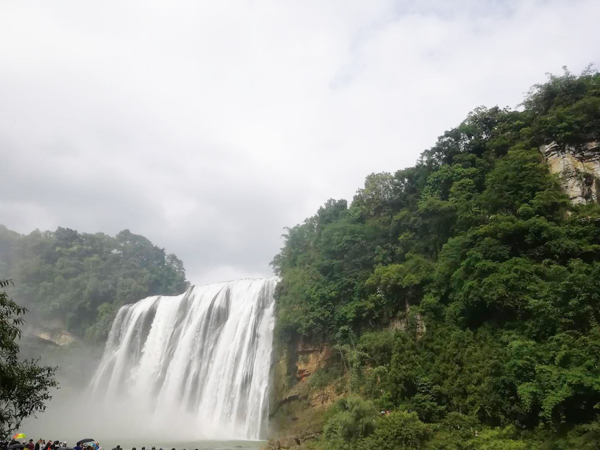 This entry was posted in china tour, travel experience, travel guide and tagged Guizhou, Guzhou Tour, High Speed Train Tour by Travel Expert. Bookmark the permalink.